Through the process of light painting or light drawing, photographer Simon Bond does a dance of luminescence that magically wraps around cultural symbols. Light painting is a very modern looking technique, although it has actually been around since the early days of photography. In this series of photos, a piece of equipment called a pixelstick was used to create the lighting effects. 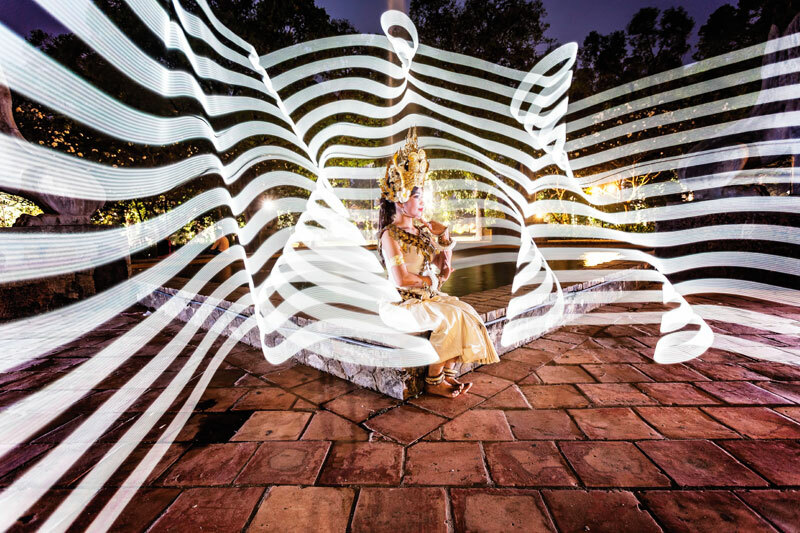 Light painting involves using a light source to “paint” into a scene during a long exposure photo. All of the photos seen here are 5-30 second exposures. The pixelstick is a long metal pole containing 200 LED lights that can be programmed to emit any light colour that you desire.